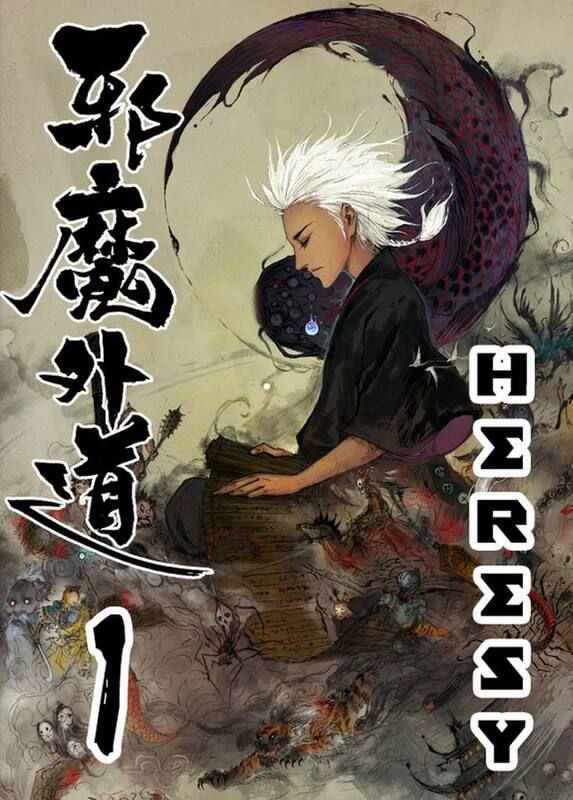 Heresy(Wuhan Illustrators Digital Arts and Design) Review｜MANGA.CLUB｜Read Free Official Manga Online! Demon and Strangers. I like the style, it is fresh when You think about Chinese comics. The story is progressing well, not to fust which I like. The description of the world every few chapters is a good idea as well. After 7 chapters I want more which is the most important. Great Manhua, love the gritty cultivation story. For anyone who doesn’t know this is a cultivation manhua where the world is filled with the ideology of taoist magic. The person in this type of world train their body and spirit (by absorbing the worlds ki) to become immortal and achieve dao (way/law example:fire earth chaos destruction,space,poison sword, spear....the list goes on)There is no set technique to achieve immortality, there are lots of novels and manhua about cultivation all from China...but this one takes the cake cuz of the gritty art style where it clearly portrays the essence of a cultivator (dog eat dog world survival of the fittest because of the limited resources). On the other hand we got other cultivation manhua where everyone is shoujo and love each other, end up wondering why the mc and the main villain are holding hands and drinking tea. I have only read up to part 5 and this is already so amazing. I can't wait to finish this review to see more. The art and story line in simply fascinating. Favorite manga ever....Also right now it is the only....Anyway I love it and that is what counts. Pretty good art and story. Deffinaltly has my interest I want to see where this is going. Verry nice, once you start reading you can't stop. I feel like I've read this story before, but I'm still enjoying it because of the intriguing artwork. No complaints. It's really well written (and well translated), but with every chapter I'm left wanting some sort of twist. I'll certainly keep an eye on this one. So far Heresy is pretty good. It reminds me of bleach and the art work is amazing and the characters are ok. Overall, it not a must read, but it a good way to pass time. It's just spectacular, I hope it stays that way and does not lower the great quality it has. The art is very beautiful but I feel like I am lacking any distinct qualities from the characters to keep me engaged in reading further. The cover is really beautiful and when you get used to it, you may also find the art style beautiful. The plot has a good rhythm so far and leaves you curious and wanting to know more. I'm loving it so far and I'm very excited to read more. If you like stories involving magic, "youkais" and action, you'll probably enjoy this manga. A interesting art style with a plot that keeps you reading. The art isn't the greatest, but the story is really engrossing and keeps you on the edge of your seat. I hope more gets posted soon.